Suntec REIT - DBS Research 2019-04-02: Will UBS Park At Penang Road? Suntec REIT - Will UBS Park At Penang Road? According to the Business Times (BT), Swiss investment bank UBS is considering relocating its operations at One Raffles Quay (ORQ) and Suntec City into 9 Penang with the bulk of the leasing terms already settled but still subject to final approval from UBS’ headquarters (HQ) in Zurich. See article. If UBS were to relocate, it would take up the entire space at 9 Penang Road which comprises 352,000 sqft of office net leasable area (NLA) and 15,000 sqft of retail space. UBS currently occupies c.230,000 sqft at ORQ and c.90,000 sqft at Suntec Office or total of 320,000 sqft. 9 Penang Road is expected to be completed at end 2019 and accounting for the fit period is close to the expiry of UBS’ leases at ORQ and Suntec City in late 2020 and early 2021 respectively. Based on the BT article, UBS is relocating from the central business district (CBD)/financial district due to its wish to operate within its own campus-style facility, which may include a canteen with chef’s cooking for the UBS staff, rather than solely due to a desire to achieve rental savings. In addition, it was reported that UBS will be paying gross effective rents in the high single-digits for 9 Penang Road compared to potential renewal rents at ORQ and Suntec City in the low double-digit and high single-digit range respectively. The length of the potential lease at 9 Penang Road was not disclosed. 9 Penang Road is a joint venture (JV) development between SUNTEC REIT (SGX:T82U) (30%), SINGHAIYI GROUP LTD. (SGX:5H0) (35%) and Haiyi Holdings (35%). Haiyi Holdings is a private vehicle of Gordon and Celine Tang who own a majority stake in SingHaiyi Group. In addition, Suntec REIT REIT and SingHaiyi/Haiyi Group have the rights to acquire a wing/half of 9 Penang Road upon the completion of the development. Total development costs for the 9 Penang Road development is expected to be c.S$800m. The 9 Penang Road building comprises eight floors of office space in two wings from level 3 to 10, with the first floor designated for retail space. The car park is located in the basement and on the second floor. The building is located near the prime Orchard Road shopping belt and is directly opposite Plaza Singapura, a large shopping mall. The property is also a short walk away from the Dhoby Ghaut MRT station which is a major interchange with access to the North-South, North-East and Circle lines. The news of UBS taking up the whole of 9 Penang Road is not surprising given prior guidance by Suntec REIT that it had received offers from prospective tenants wanting to take up the entire building. However, at that point in time, Suntec REIT was mulling whether 9 Penang Road should be leased to a single tenant or multiple tenants and considering the risk/rewards of both options. 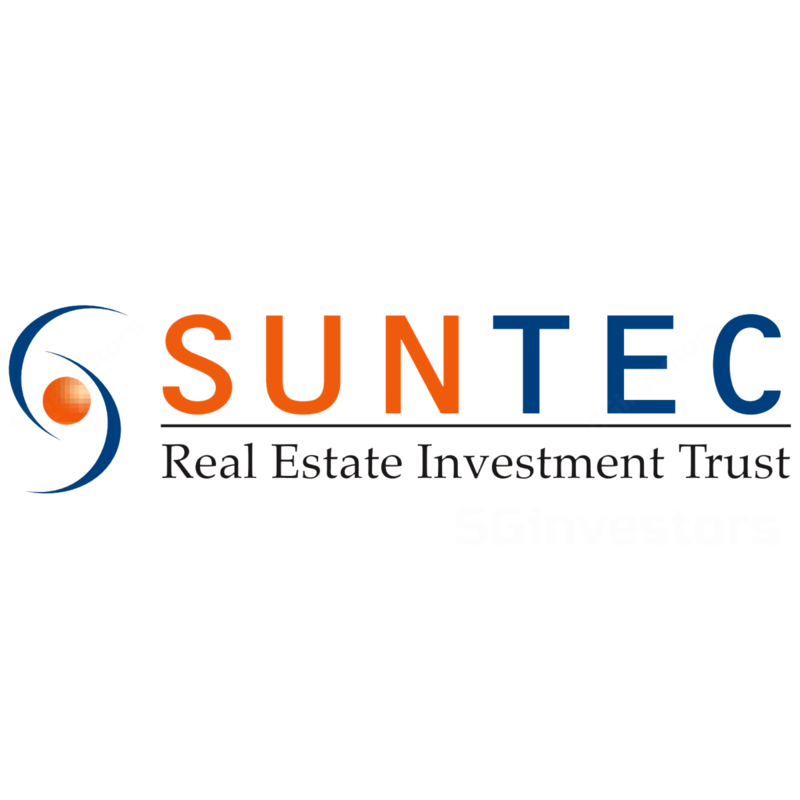 We believe this news is net positive for Suntec REIT as it removes some uncertainty over the ability of Suntec REIT to fill 9 Penang Road and crystallises a development yield in the low 4% which is higher than the sub and mid 3% yields for stabilised office assets in Singapore. In addition, should UBS indeed take up the whole building, there is some upside to our distribution per unit (DPU) estimates, as we had originally penciled in an initial 85% occupancy with S$9.50 psf/mth rents. In addition, while Suntec REIT will lose UBS as a tenant at Suntec City Tower 5 (which it wholly owns) and at ORQ (which it owns a one-third stake together with KEPPEL REIT (SGX:K71U) and HONGKONG LAND HOLDINGS LIMITED (SGX:H78)), given the tight office market and potential 1-2 year lead time, Suntec REIT should be able to backfill the space vacated by UBS. Given this potential positive development and Suntec REIT’s exposure to the expected multi-year upturn in Singapore office rents, we maintain our BUY call and target price of S$2.12.